Just 15 more days till my parents come back!!! Good Morning friends!!! On my way back to Manila... back to reality that is! @ummm_i_guesss yoo check me out son,emoji on deck.lol. RT @ShaileshTewarie "if you want to collect your husband's life insurance money, pls always call him when he is driving"
@yangseobbie Okays! Nvm. Thanks a lot ah! bro jus hit her wit the emoji lol she can't see them haaha she is #teamiseeboxes! 04 Oct 11 copy & paste +upvote -downvote  bro jus hit her wit the emoji lol she can't see them haaha she is #teamiseeboxes! 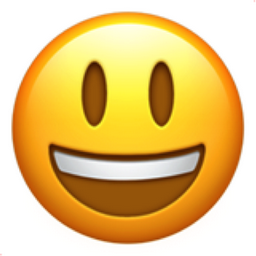 Like Smiling Face with Open Mouth Chronological Emojitweets 4?